During modeling activities, inconsistencies can easily occur due to misunderstandings, lack of information or simply mistakes. 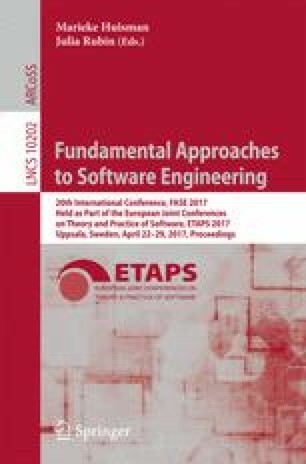 In this paper, we focus on model inconsistencies that occur due to model editing and cause violation of the meta-model conformance. Although temporarily accepting inconsistencies helps to keep progress, inconsistencies have to be resolved finally. One form of resolution is model repair. Assuming that model changes are state-based, (potentially) performed edit operations can be automatically identified from state differences and further analyzed. As a result, inconsistent changes may be identified causing a need to repair the model. There may exist an overwhelming number of possible repair actions that restore consistency. The edit history may help to identify the relevant repairs. Model inconsistencies are repaired by computing and applying complement edit operations that are needed to re-establish the overall model consistency. In this paper, we clarify under which conditions this kind of model repair can be applied. The soundness of this approach is shown by formalizing it based on the theory of graph transformation. A prototype tool based on the Eclipse Modeling Framework and Henshin is used to conduct an initial evaluation.